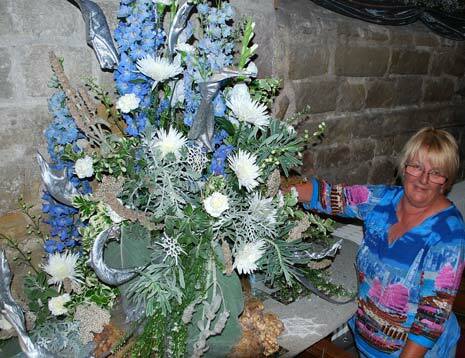 Ashover's four-day floral festival tribute to the world of music proved a spectacular success and raised more than £5,000 for the village's ancient parish church and Ashgate Hospice. 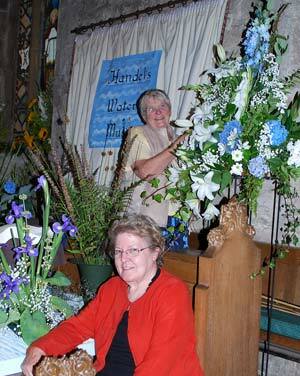 "Considering the state of the economy at the moment, we are absolutely delighted to have raised so much money - but we're equally thrilled by all the favourable comments we received from so many people," said All Saints Church Flower Guild Co-ordinator Anne Eyley. Ashover's Rector, the Revd. 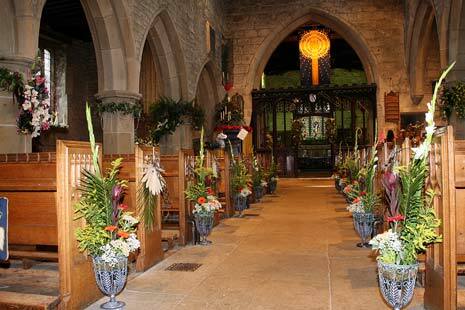 Ralph Lawrence described the flower festival's 41 in-church arrangements as "a real delight for both villagers and the many people who travelled long distances to enjoy the celebration." This year's theme was "Thank You for the Music", an example of which was the 'Handel's Messiah' arrangement by Sally Wibberley (pictured left standing) and Audrey Marsden (pictured left seated). 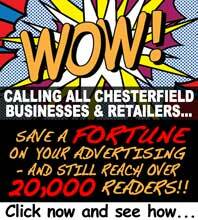 It was chosen to mark the contribution to community life made by the classical music concerts that have been staged in Ashover for over 30 years but which fell victim this year to spiralling production costs. The festival included a highly successful scarecrow trail in and around the village centre organized by Claire Bonsall and Jenny Hammond, and an exhibition in the Bassett Rooms by Ashover Art Group. An added bonus was the sound of the church bells. Ringers led by Tower Captain Barry Watts were able to ring for the first time since mid-April when the ringing room was closed to permit major repairs to the church spire and tower. A special Sunday Songs of Praise service led by Reader Celia Kelly included a selection of favourite hymns, prayers, readings and musical items by Ashover Celebration Choir conducted by Ruth Russell. Anne Eyley, who headed the festival team with Celia Kelly and Bassett Rooms Manager Sylvia Dyson, this week thanked all arrangers, church members and visitors for their support. "Without a great deal of help, there is no way we could stage a festival of this size or duration", she said.